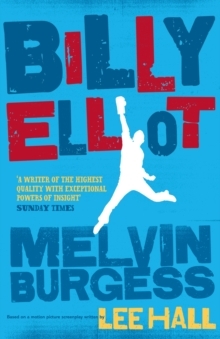 Billy Elliot's tough, funny and heart-warming story is given new depth by best-selling author, Melvin Burgess. Billy's mother is dead, and his father and brother are fiercely involved in a bitter miners' fight that has split the local community. Billy's father wants his son to learn boxing, like he did and his father before him. But Billy is fascinated by the grace and magic of ballet and is determined to dance his way to a different future. Told from the differing viewpoints of Billy, his father and brother and his friend Michael, Melvin Burgess has captured the spirit of the original film screenplay while demonstrating the skill and inspiration he showed in his award-winning novel, Junk.